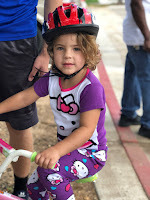 This post was originally published on The Salvation Army Austin blog. 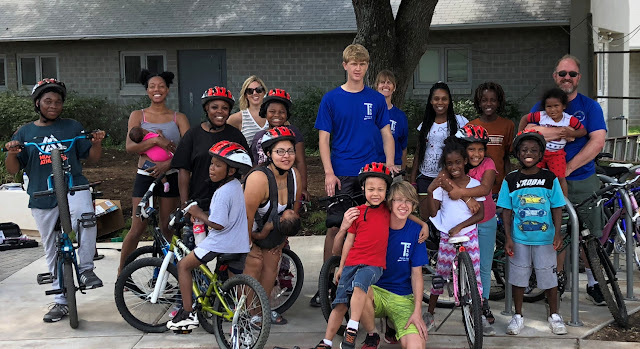 Last fall, Sam Domsch from Boy Scout Troop 410 reached out to The Salvation Army Austin Area Command Development Team about an idea he had to provide free bikes to children living at the Austin Shelter for Women and Children. For his Eagle Project, Sam proposed to collect and repair the bikes for all the children living in shelter, and to distribute them, along with locks and helmets at a “Bike Rodeo” in the spring. Over the next few months, the Domsch family received more than 50 donated bikes at their home. 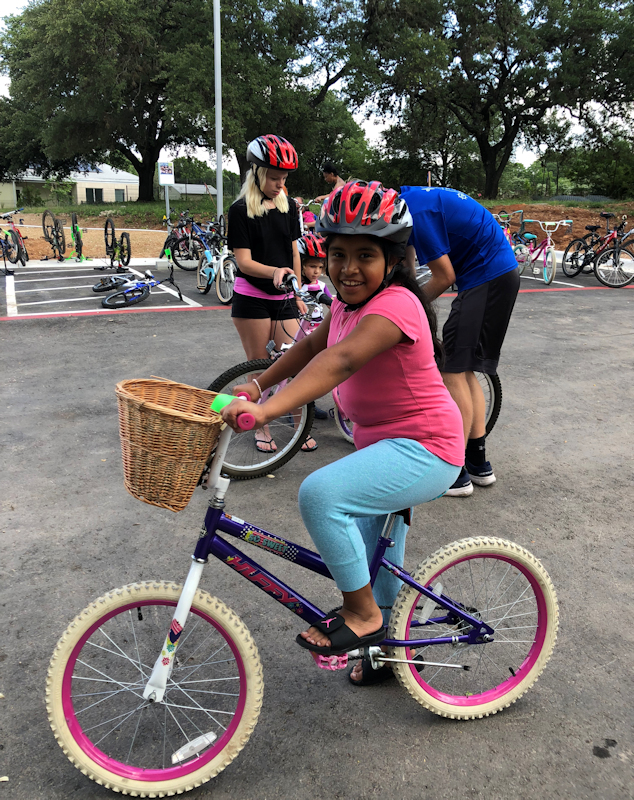 Sam worked with the Austin Yellow Bike Project to make all the necessary repairs to ensure the bikes were in working condition for their new owners. 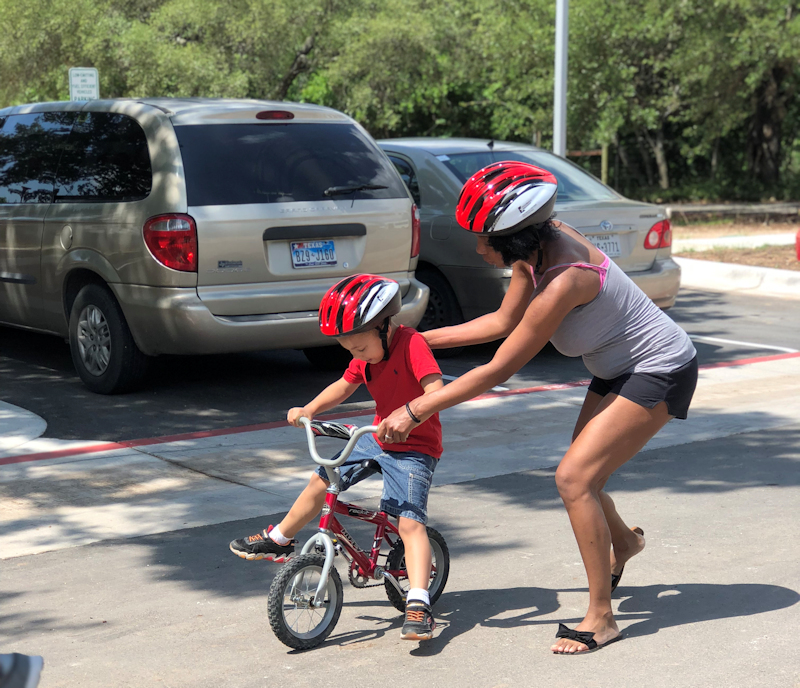 He also coordinated with the Texas Medical Association to donate helmets. Prior to the event, Shelter Director Stacy Schwarz provided a list of the 30 children living at the shelter with first names, ages and gender so that Sam could match each child with a bike in advance. 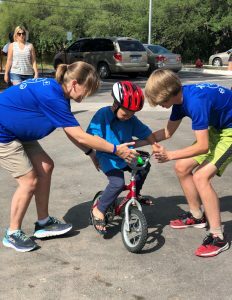 On the day of the bike rodeo, Sam, his parents and two younger brothers arrived early to set up all the bikes. Stanley Watterson, an employee at the ASWC, brought out the families one at a time to receive their bikes, locks and helmets. 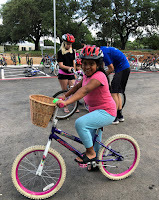 If the bike that had been selected for them wasn’t just the right fit, there were plenty of surplus bikes the children could choose from. All of the children were clearly delighted with their “new” bikes. 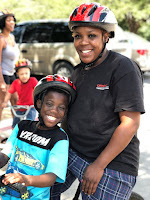 The experienced riders spent the next few hours riding all over the grounds and inside the enclosed parking lot, huge smiles plastered on their faces. Sam, his parents and brothers worked patiently with the children who had never been on a bike before to help them learn to ride. 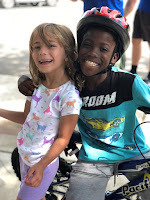 Everyone had a ball! 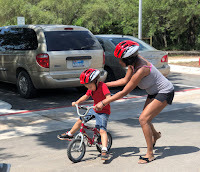 There were enough extras for many of the mothers to also receive a bike, helmet and lock. The mothers were just as thrilled as the children! 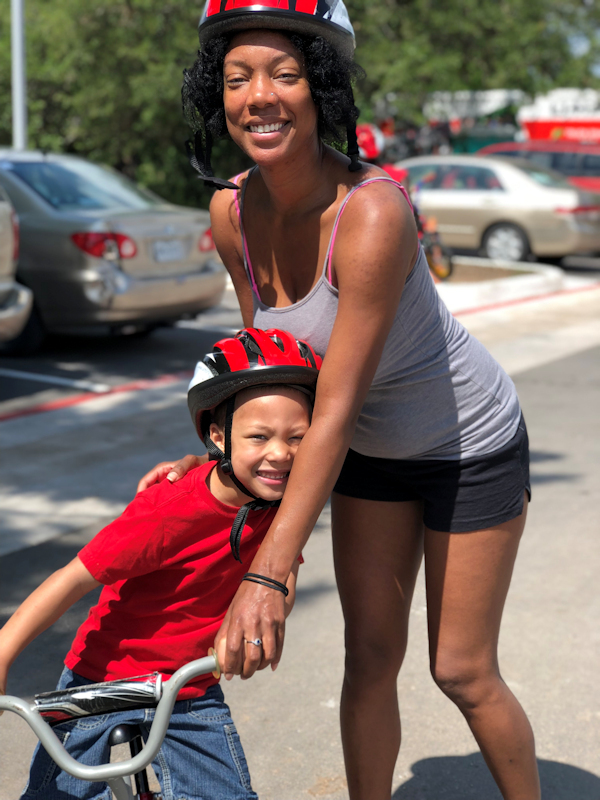 Young or old, everyone deserves to experience the carefree joy of riding a bike. Thank you to Eagle Scout candidate Sam Domsch for this amazing gift. 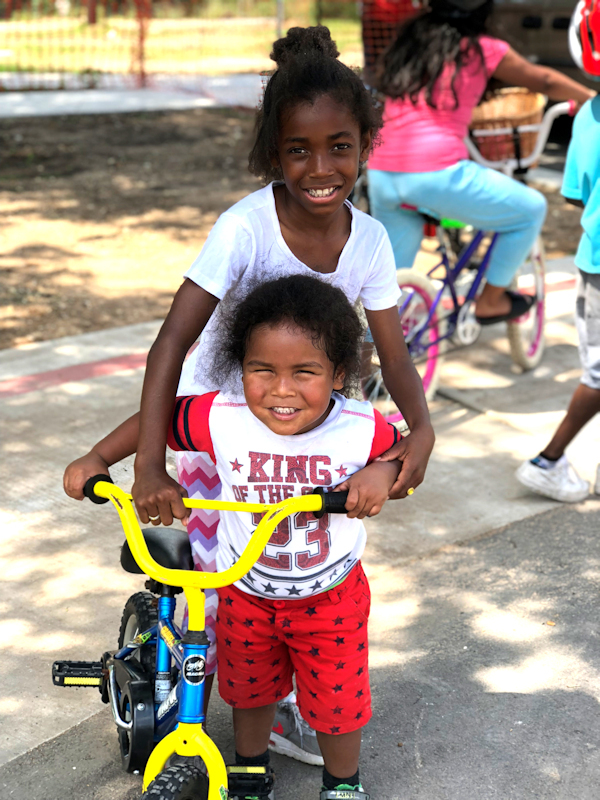 The bikes will provide the children in our shelter with hours of joyous exercise, a feeling of self-reliance and independence, and the experiences of a regular childhood.